New Year's Resolution To Lose Weight? 1. Preheat oven to 350°. Cook macaroni by package instructions. 2. Meanwhile, melt 2 Tbsp. butter in a Dutch oven over medium heat. Gradually whisk in flour. Gradually whisk in milk and evaporated milk until smooth and slightly thickened. Whisk in Gouda cheese, next 3 ingredients, and 1/8 tsp. ground red pepper until smooth. Remove from heat, and stir in ham and pasta. 3. Pour mixture into a 13- x 9-inch baking dish coated with cooking spray. Stir together crushed cereal, 1 Tbsp. melted butter, and remaining 1/8 tsp. ground red pepper; sprinkle over pasta mixture. If you like, get creative and add some broccoli for extra fiber or a few dashes of Texas Pete for an extra kick. 453 calories and 27 grams of protein. 1. Prepare Parmesan Grits: Bring 1/2 tsp. salt and 4 cups water to a boil in a medium saucepan; gradually whisk in grits. Cook over medium heat, stirring occasionally, 8 minutes or until thickened. Whisk in cheese and pepper. Keep warm. 2. Prepare Creamy Shrimp Sauce: Peel shrimp; devein, if desired. Sprinkle shrimp with pepper and 1/8 tsp. salt. Cook in a large nonstick skillet coated with cooking spray over medium-high heat 1 to 2 minutes on each side or just until shrimp turn pink. Remove from skillet. Reduce heat to medium. Add oil; heat 30 seconds. Whisk in flour; cook 30 seconds to 1 minute. Whisk in broth and next 5 ingredients; cook 2 to 3 minutes or until thickened. Stir in shrimp and spinach; cook 1 minute or until spinach is slightly wilted. Serve immediately over grits. Serves 6 – 235 calories per serving and 19 grams of protein. 1. Stir together first 4 ingredients; rub pork tenderloins evenly with seasoning mixture. Lightly coat pork with vegetable cooking spray. 2. Grill, covered with grill lid, over medium-high heat (350° to 400°) 10 to 12 minutes on each side or until a meat thermometer inserted into thickest portions registers 155°. Remove from grill, and let stand 10 minutes. Chop or slice, and serve on hamburger buns. Drizzle each sandwich with 1 Tbsp. Barbecue Sauce. 264 calories per serving and 26 grams of protein! 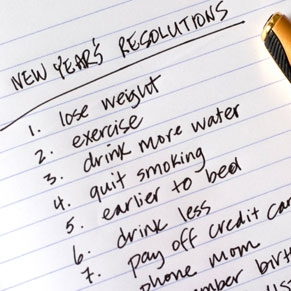 For more inspiration to stick to your 2012 goal, visit Southern Living online. This entry was posted in Dining, New Year's Eve, Recipes by admin. Bookmark the permalink.